Sunni Pindi / Nalagu Pindi is a herbal bath powder for babies. It gives freshness, increases body colour, removes unwanted body hair in babies. It can be used by adults also. I have captured this in a shop in Chennai and this post is not an sponsor post or advertisement. Shops in Chennai where Country drugs / Naatu Marundu are sold. Makes the skin very smooth. This is used instead of plain turmeric because this does not give the yellowish color on your skin. This helps in preventing unwanted hair growth. This is a is a waxy, white or transparent solid with a strong, aromatic odor. 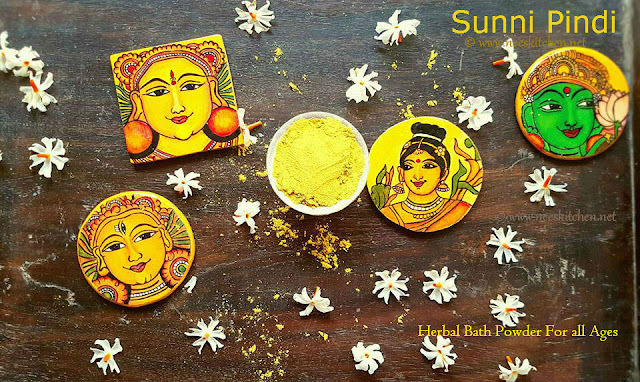 This gives an additional texture to the skin and cleans the pores in the skin. 1. 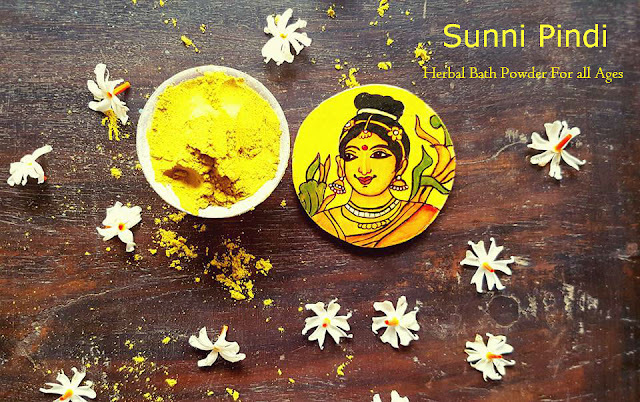 To begin making the ‘Sunni Pindi | Nalagu Pindi | Herbal Bath Powder’, Dry all the above ingredients in hot sun. 3. Once you grind it cool it down for a while and store it in air tight container. 4. The proportion can vary according to our wish, but make sure the green gram and kasturi turmeric needs to be more.